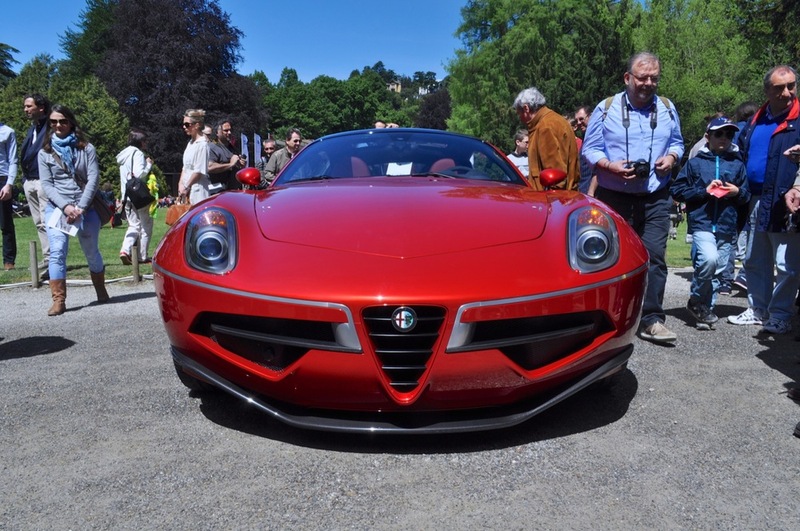 Based on the Alfa Romeo 8C Competizione, the Disco Volante 2012 by Touring Superleggera is a tribute to the 1952 Alfa Romeo 1900 C52. Back in the day, the C52 was a radically innovative car for it's exterior design, built by Carrozzeria Touring. Also known as 'Disco Volante' (Flying Saucer) for it's odd but extremely aerodynamic shape, the C52, powered by a 1900 cc engine that produced 158 bhp, could reach the speed 220 km/h. Many Alfa Romeo fans say that the legendary Jaguar E-Type took some design cues from the Disco Volante.